TGIF! It's been a COLD week here in New England! And I don't know what it is about Monday holidays but it seems to make the week CREEP by. One of the things I like to do when I'm snowed in is to bake! It warms up the house and makes it smell great too! 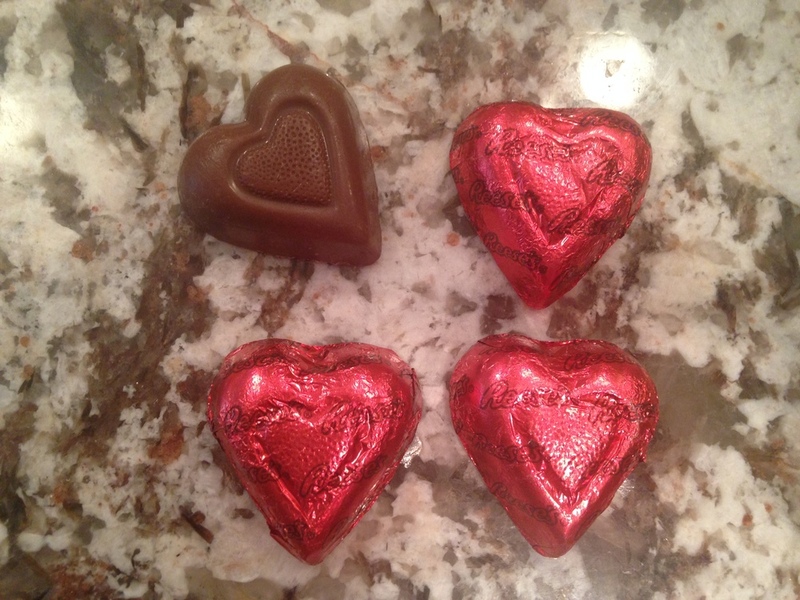 People ask me if I've used other chocolates (ie more expensive) with this recipe. I have and I am going to tell you to Save your money! For this particular recipe, the chocolate flavor really shines through and you don't need to buy an expensive chocolate, unless you want to! They key to this recipe is the salt. It is actually not in the original recipe and when I used to make it without salt, I would always say, it's good but it's missing something. Well, that was the salt! It makes the chocolate POP! To me, the brownie "plain" is delicious but even better with a Reese's Peanut Butter heart! They also are great warmed up and served with a scoop of vanilla ice cream and hot fudge. MMMMM!!! That will make it seem a little more cozy inside! Have a great weekend and if you like our recipe, we'd love to hear from you in our comments! All the ingredients - it couldn't be more simple! The finished pan of brownies! yum! 1 cup Gluten Free flour. We made our own blend using this recipe from King Arthur Flour. We also love King Arthur Flour's Multi Purpose Flour Mix and Cup 4 Cup. 1/2 tsp. Xanathan Gum (If you flour mix already has this, you can omit this). LINE 13x9-inch pan with foil, with ends of foil extending over sides. Spray foil with cooking spray. MICROWAVE chocolate and butter in large microwaveable bowl on HIGH 2 min. or until butter is melted. Stir until chocolate is completely melted. Stir in sugar. Blend in eggs and vanilla. Add flour mixed with salt and Xanathan Gum (if using); mix well. Pour into prepared pan. BAKE 30 to 35 min. or until toothpick inserted in center comes out with fudgy crumbs. (Do not overbake.) Cool completely. 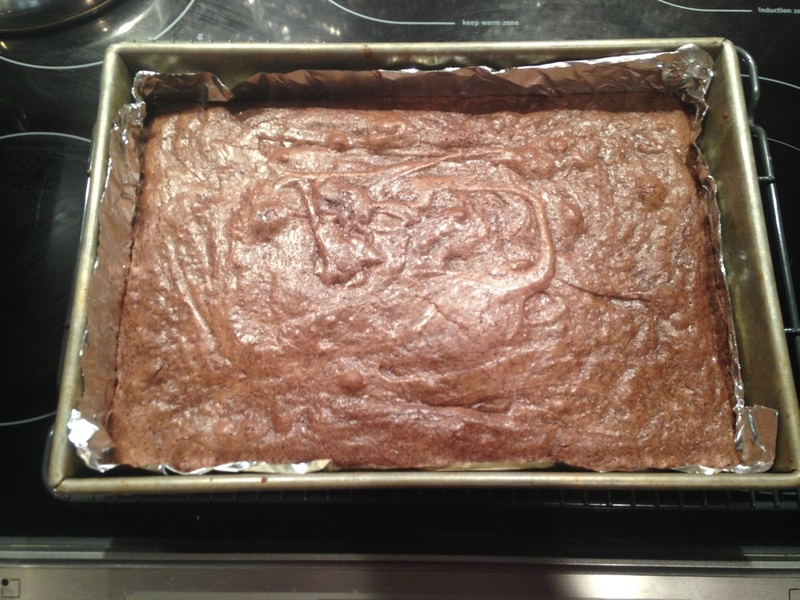 Use foil handles to remove brownies from pan before cutting to serve.